Amy oversees Marketing and Recruiting for the firm. She started her financial services career in 2008 as an annuity wholesaler. Since then she has worked in a variety of roles supporting advisors. 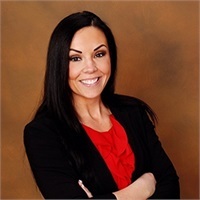 Amy brings significant experience in training, presenting and she has a proven ability working with advisors to identify needs, and enhance efficiencies. Amy holds a Master’s degree in Business Management and is FINRA 6, 7, 63, and 65 licensed. She lives in New Hampshire with her husband Brian and son Serge. Amy enjoys skiing, hiking, the outdoors, and is a Certified Personal Trainer and Aerobics Instructor.